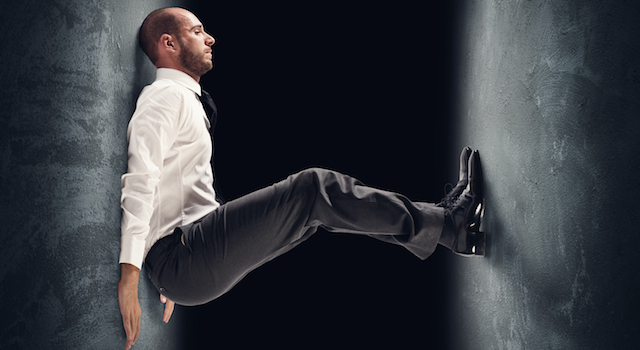 Are you caught between a rock and a hard place when it comes to your school's test scores? Here's help! As a school leader, you're under pressure to raise your school's average ACT or SAT score. Yet, your teachers can't sacrifice their instructional content to prep students for the test — and they don't have to. 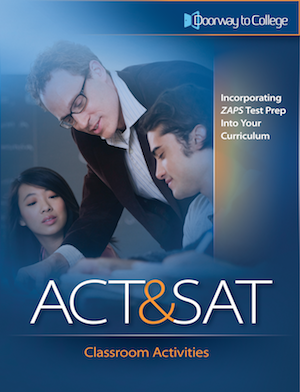 The new ACT & SAT Classroom Activities: Incorporating ZAPS Test Prep into Your Curriculum is specifically designed to help teachers build college test prep strategies into their own curricula. Published by Doorway to College, this resource provides 214 pages of curriculum support for your staff in Reading/English, Math, and Science classes. Great for small- or large-group college prep classes, too! Teachers can download dozens of ready-to-use worksheets and slides to use in their presentations. Students will find the activities interesting and fun ways to learn content and to get ready for improving their ACT scores and their PSAT/SAT scores. The result? Increased content knowledge and higher test scores! Single copies shipped to the continental US and FPOs are only $24.99 plus $5 shipping. Includes online access to instantly download all worksheets and slides. Quantity discounts available. Purchase orders accepted. Order for your school today! Call 1-877-927-8378 to speak with your ZAPS representative.